Powdered turmeric has been used for centuries to treat osteoarthritis and other illnesses. Its active ingredient, curcumin, inhibits inflammatory reactions. A new study, led by a research team at Ludwig-Maximilians-Universität (LMU) in Munich, now shows that it can also inhibit formation of metastases. The study was published online in Carcinogenesis on October 5, 2012. Prostate cancer is one of the most prevalent malignancies in the Western world, and is often diagnosed only after metastatic tumors have formed in other organs. In three percent of cases, these metastases are lethal. 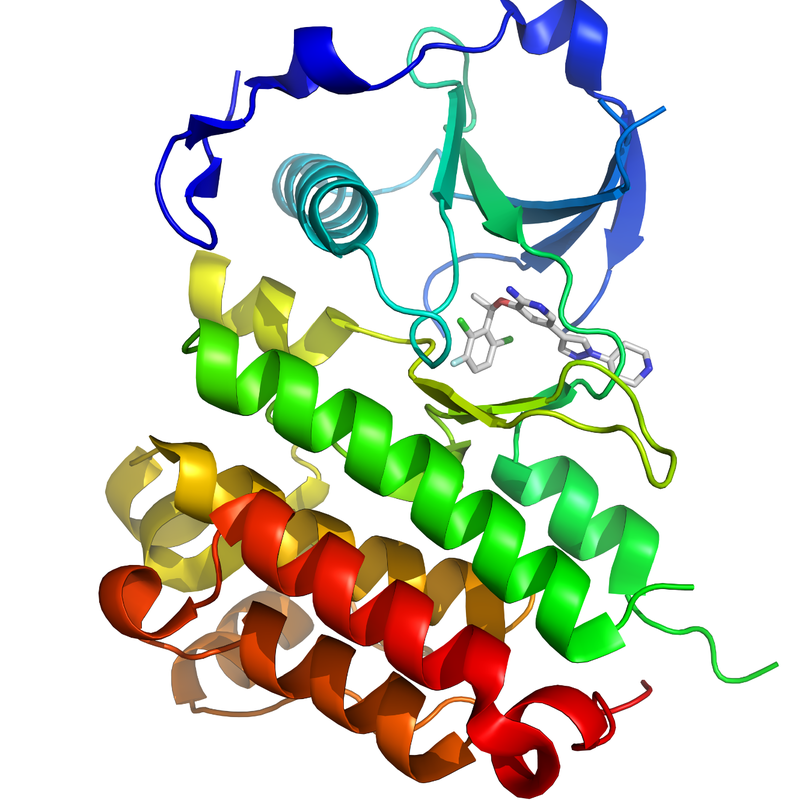 A research team led by Dr. Beatrice Bachmeier at LMU Munich has been studying the mode of action of a natural product that inhibits the formation of metastases. The compound is found in turmeric, a plant that has been used for medicinal purposes for thousands of years, and is a major ingredient of curry. Dr. Bachmeier's research centers on curcumin, the polyphenol responsible for the characteristic color of curry. Curcumin is well tolerated and is therefore, in principle, suitable both for prophylactic use (primary prevention) and also for the suppression of metastases in cases where an established tumor is already present (secondary prevention). In a previous study, Dr. Bachmeier and her colleagues had demonstrated that the substance reduces statistically significantly the formation of lung metastases in an animal model of advanced breast cancer. The new study was designed to investigate the efficacy of curcumin in the prevention of prostate cancer metastases, and to determine the agent's mechanism of action. 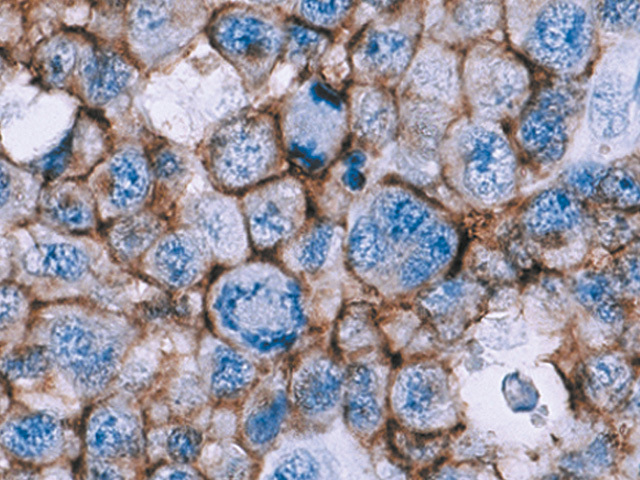 The researchers first examined the molecular processes that are abnormally regulated in prostate carcinoma cells. The drug crizotinib (Xalkori) substantially lengthens the amount of time some patients with advanced lung cancer live without their disease progressing, according to findings from the first large clinical trial to test the targeted therapy. Initial results from the trial were presented at the European Society for Medical Oncology Congress (ESMO) in Vienna, Austria, and reported in the October 2, 2012 National Cancer Institute Bulletin. The Food and Drug Administration (FDA) approved crizotinib last year to treat patients with advanced non-small cell lung cancer (NSCLC) whose tumors have a specific genetic mutation. The approval was based on smaller, nonrandomized trials that showed crizotinib could shrink tumors in many patients with the mutation—a genetic rearrangement involving the ALK gene. Until now, crizotinib had not been shown to prolong progression-free or overall survival compared with standard chemotherapy. "The results from the phase I and phase II trials were pretty remarkable," said lead investigator Dr. Alice Shaw of Massachusetts General Hospital. "We had high tumor response rates, which were impressive for just a single agent." A large randomized trial was necessary, Dr. Shaw explained, to confirm that the tumor responses translated into meaningful outcomes and to answer questions about whether patients whose tumors had this genetic mutation were more sensitive to any therapy, not just crizotinib. "Patients who received crizotinib did significantly better," she said. Progression-free survival was more than twice as long in patients treated with crizotinib compared with those who received chemotherapy—docetaxel (Taxotere) or pemetrexed (Alimta)—7.7 months versus 3 months. The use of carefully chosen animal models often underlies crucial medical advances. A perfect example is provided by the recent demonstration that a known drug, imatinib, can be used to treat a rare, but highly aggressive, type of lymphoma. The work was largely undertaken in the group of Dr. Lukas Kenner at the Ludwig Boltzmann Institute for Cancer Research and the Medical University of Vienna, with the support of Drs. Karoline Kollmann and Veronika Sexl at the University of Veterinary Medicine, Vienna, together with a number of national and international collaborators. The findings were published online on October 14, 2012 in Nature Medicine. So-called anaplastic large cell lymphoma (ALCL) is even less attractive in real life than it is on paper. It is a highly aggressive type of lymphoma that generally occurs in children and young adults and that has, to date, proven extremely difficult to treat. It has long been known that ALCL patients frequently show a genetic alteration (a translocation) that causes expression of nucleophosmin-anaplastic lymphoma kinase (NPM-ALK), a gene known to be capable of giving rise to cancer. But how the NPM-ALK gene works has so far remained largely a matter of conjecture. Working in a mouse model for lymphoma, Dr. Kollmann in Dr. Sexl’s group at the University of Veterinary Medicine, Vienna, and colleagues at the Ludwig Boltzmann Institute for Cancer Research and the Medical University of Vienna were able to show that the development of lymphoma is absolutely dependent on the “platelet-derived growth factor receptor B” (PDGFRB), a protein already associated with the growth of other types of tumors. The scientists demonstrated that the effect was direct, with NPM-ALK stimulating the production of the transcription factors JUN and JUNB, which bind to and activate the PDGFRB promoter. Shinya Yamanaka M.D., Ph.D., a senior investigator at the Gladstone Institutes—which is affiliated with the University of California, San Francisco (UCSF)—has won the 2012 Nobel Prize in Physiology or Medicine for his discovery of how to transform ordinary adult skin cells into cells that, like embryonic stem cells, are capable of developing into any cell in the human body. Dr. Yamanaka shares the award with Dr. John Gurdon of the University of Cambridge. A former governor of the Wellcome Trust, Professor Gurdon was awarded the Prize for the discovery that mature cells can be reprogrammed to become immature cells that are capable of developing into all tissues of the body. He is widely regarded as the scientist who kick-started the field of cloning. In 1962, Professor Gurdon was the first to demonstrate that the specialisation of cells is reversible when he successfully 'cloned' the South African frog from a tadpole's intestinal cell. By transplanting the nucleus of the intestinal cell into an empty egg cell, he created an organism genetically identical to the tadpole before. The discovery caused shockwaves around the scientific community, not least because a mere graduate student had disproved previously held dogma developed by more famous and established scientists. "John's seminal work, which was carried out in the 1960s, showing that is possible to reprogram a mature frog cell into a nonspecialised, immature cell, was both counterintuitive and with no conceivable application at the time. Yet it now underpins all of regenerative medicine, an area in which the UK remains at the cutting edge. His recognition by the Nobel Prize is very well deserved,” said Sir William Castell, Chairman of the Wellcome Trust. The awards were announced on October 8, 2012. Dr.
One of the biggest challenges in psychiatric genetics has been to replicate findings across large studies. Scientists at King's College London, Institute of Psychiatry, and multiple collaborators have now performed one of the largest ever genetic replication studies of bipolar affective disorder, with 28,000 subjects recruited from 36 different research centers. Their findings provide compelling evidence that the chromosome 3p21.1 locus contains a common genetic risk for bipolar disorder, the PBRM1 gene. The locus at 3p21.1 has also been previously associated with depression and schizophrenia. Using a separate dataset of over 34,000 subjects, the scientists did not confirm association of this same variant with schizophrenia. 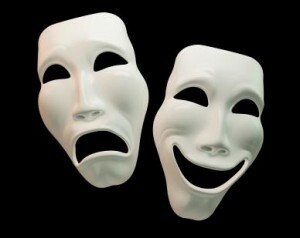 Thus, they replicated the association of the marker with bipolar disorder, but not with schizophrenia. This is an interesting finding, in that it distinguishes the heritable risk for bipolar disorder and schizophrenia. It contrasts with the majority of studies that have found that schizophrenia risk genes also contribute to the risk for bipolar disorder. "This study adds to the recent rapid progress in identifying genes for mental illness. The last few years have seen the identification of about two dozen genetic loci for bipolar disorder and schizophrenia," commented first author Dr. Evangelos Vassos. "About half of these are shared between these two disorders, indicating they share some, but not all, genetic causes." Due to the conflicting results, it is clear that more work is needed to determine the role this locus plays in psychosis, but the evidence seems solid that it is associated with bipolar disorder.